Explanation: What are those unusual plates on Mars? A leading current interpretation holds that they are blocks of ice floating on a recently frozen sea covered by dust. 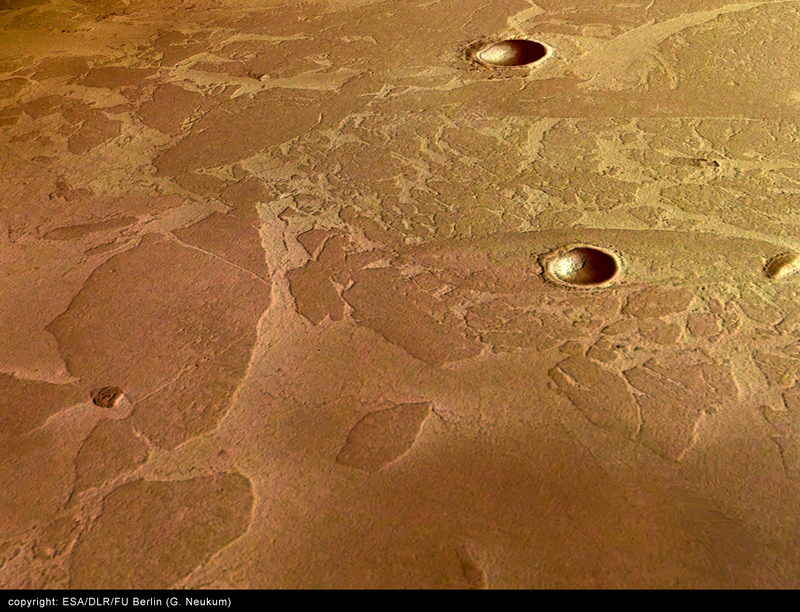 The unusual plates were photographed recently by the European Space Agency's Mars Express spacecraft currently orbiting Mars. Oddly, the region lies near the Martian equator and not near either of Mars' frozen polar caps. Without being covered by dust, any water or ice near away from the poles would quickly evaporate right into the atmosphere. Evidence that the above-imaged plates really are dust-covered water-ice includes a similarity in appearance to ice blocks off Earth's Antarctica, nearby surface fractures from which underground water could have flowed, and the shallow depth of the craters indicating that something is filling them in. 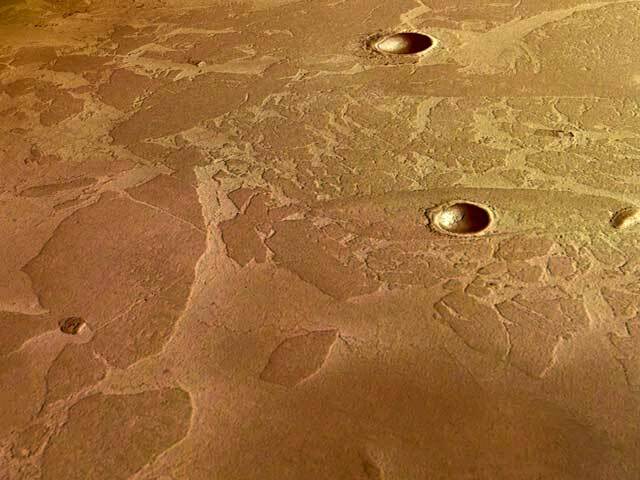 If correct, the low abundance of craters indicates that water may have flowed on Mars as recently as five million years ago.